GlobeCore hosted a reception for Turkish guests on April 27, 2015. Representatives of Andritz Hydro LTD. STI and representatives of General Directorate of State Hydraulic Works, Dams and HEPP Department arrived to test CMM-8.0 oil purifier. General Directorate of State Hydraulic Works is the main administrative state agency, organized under a Ministry of Environment of Turkey for development, planning, management and exploitation of natural resources. Their primary task is engineering, construction and operation of hydroelectric power plants (HEPP). HEPP most essential parts are hydraulic turbines. They activate generators producing electrical energy. Bearings and gears of industrial turbines are lubricated with turbine oils. Turbine oil in operation gets contaminated with gases, gaseous products and water. As a result oil ages, it deteriorates and cannot provide proper anticorrosion, antioxidant, wear-preventive and anti-foaming properties. Therefore the aged turbine oil must be either replaced with new oil or restored to its original operating parameters. Restoration/regeneration/recycling/reclamation is cheaper than buying new oil and disposing of used oil. GlobeCore CMM-8.0 oil purifier is designed for degassing, dehydration and filtration of turbine oil. This extends service life of oil and significantly saves expenses. After being present at CMM-8.0 testing, Turkish representatives concluded that it solves all their problems and reaches their targets. 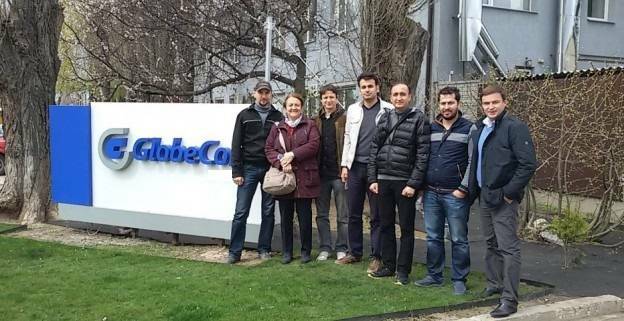 Company employee of Andritz Hydro LTD. STI, Irshad Akaydin agreed to share his impressions: – We visited GlobeCore plant to make the equipment trial tests. Everything went fine! I have not heard anything about the technology used by GlobeCore, so my visit to the factory gave me some good experience. We were also pleased to visit the workshops and to get acquainted with the mechanisms of works performed.